Mangoes are called the king of fruits. It is generally a plant of the tropics. Typical weather resembles hot summer and cool winter (not very cold). If you live in a place that is more or less of this type; you can definitely try growing mangoes. Here in this article, we will provide you with some easy growing tips. Growing from the seed is pretty easy. Peel a ripe mango, separate (or eat) the pulp. Then wash the remaining hard portion (it contains the seed) with water and let it dry. Then sow it where you want to plant the tree. Within 2 to 3 weeks you will get the seedlings. In this process, the plants grow really big but the fruiting requires minimum 8 years. Most of the plants bought from nurseries are grafted. You just need to plant them. In this method, the plant reaches a manageable height and can bear fruit within 5 years. In this process quality of the fruit is almost assured. Mango plants grow well in acidic soil pH range of 5 to 7. They can not tolerate frost. While planting the trees give at least 6 to 12-meter spacing. They grow really big and need that much space to grow properly. They don’t require much water. Make sure your soil has enough drainage. Overwatering can kill your plant. You need to protect them from weed especially in the initial years. A thick layer of mulch is a very good idea for mango trees. In the initial years, you need to provide compost for the nutrition of the plant. The more it grows the lesser you need to care. Once the plant gets little bigger you can think about pruning. Pruning is a very good choice for mango trees. Apart from giving space and nutrients to the branches, it also helps to give the plant a proper shape. While harvesting mangoes, be careful. The sap can really cause a problem (skin problem, allergies) to the body. The mature fruit can be of varied size and shape depending on its variety. 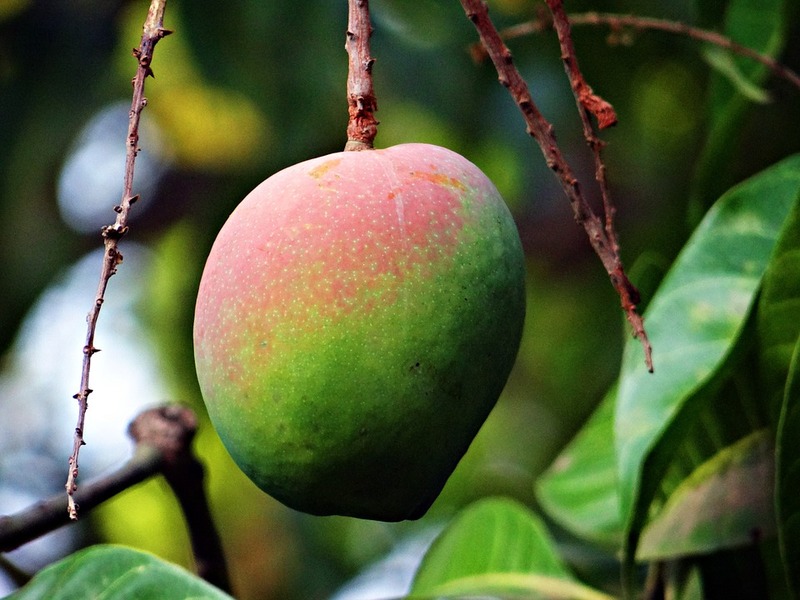 Best time to pick the mangoes when they are ripe. But in case you have picked them early (sometimes done with the intent to protect the fruits from birds, bats, and other animals) pack them in paper bags and keep them in the room temperature for some time. The flavor of a ripe mango is always welcomed. Enjoy your vitamin and mineral packed fruit with friends and family. You can also use the raw ones into making pickles or in salads. Please share your views. Use the comment box below.